I think I understand what I was doing wrong: I was doing those tests (at least some of them) starting from an unsaved new project. You may want to check for that or strongly warn users against trying to use an unsaved project (you probably do, but even though I read the Getting Started Guide, I can't remember having registered this info). Unfortunately, classes do not have the option of accessing methods through the Invoke Node. Therefore, Methods must be public and are only accessible by using the VI on the block diagram of the QControl Class’ owning VI. I don't see any example of a public method in the examples coming with the toolkit, so I am trying to figure out the intended use. My understanding is that if I want to add a method to a QControl (say, "Add Element"), I need to provide a VI which the user needs to use wherever they want to call that method, rather than having the convenience of using an Invoke Node and connecting the QControl refnum to it (which would be neat, as this would provide a built-in list of methods). Do I get the idea right? The VI above has nothing to do with QControls, it's just borrowed from my own approach to the same problem (of native control enhancement), but it shows what I mean. My understanding is that if I want to add a method to a QControl (say, "Add Element"), I need to provide a VI which the user needs to use wherever they want to call that method, rather than having the convenience of using an Invoke Node ﻿and connecting the QControl refnum to it (which would be neat, as this would provide a built-in list of methods). Do I get the idea right? That is true. I have thought about using the "Not shown as Icons" to get the same look as a Invoke Node or even creating an Xnode (but I have never created one of those before). A polymorphic would give you a list of the VIs included in it but not the ones inherited from the class hierarchy which are available too. A cool tool that does give you all of the methods available is MGI's Class Method Browser (MGI's Website | LabVIEW Tools Network). I do need to add some more templates and scripting. One of which would be to help make Properties from the items in the State Data. New Method templates could be helpful too. I think I understand what I was doing wrong: I was doing those tests (at least some of them) starting from an unsaved new project. Sure enough, this String control is inaccessible at runtime. It's just something to keep in mind before being bitten late in the development process. 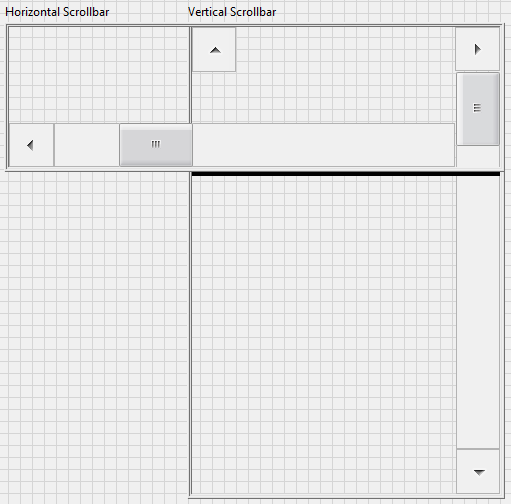 Well I guess you could pass the reference to each button and the slider individually into the constructor VI without them being in the cluster. 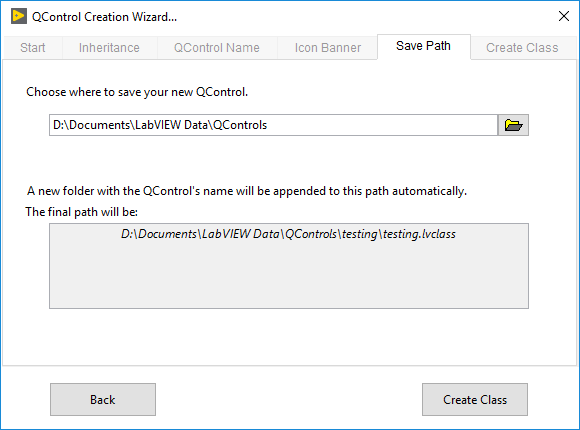 You would have to add the references to the QControl class through a manual bundle in the constructor and edit the Event Handler accordingly. If that is the case I would recommend starting a new QControl and inheriting from Slider and then passing in the slider reference as normal. Then pass the references for the buttons as extra inputs with manual bundle. That way each button and slider can be positioned separately. I'm way above my head here, but are you saying that in principle the "clustering" of multiple control is just a convenience trick or is that bringing advantages (such as access to class properties via property nodes) that would be lost otherwise (defining a facade with multiple controls NOT bundled into a cluster)? 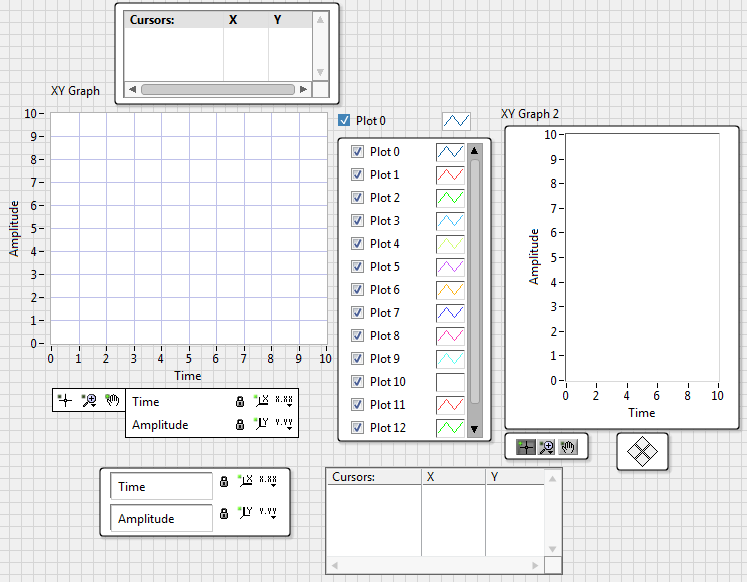 Of course, what's missing for this to be even practical, is more flexible way of grouping objects in LabVIEW (that is, one that allows moving things within a group). Just to put my questions in context, I have developed a simple (well, relatively) way of adding a tip strip to graphs so that long plot names can be read without having the legend size explode. I was contemplating migrating it to a QControl, but the layout of a Graph (due to its accessory panels) can be quite random, and if everything (graph and tip strip) is put into a cluster, the problem I was raising above would potentially ruin the day in some UI cases.